History teacher and head of EBACC who wants to share resources that might be of use to and save time for other history geeks. Knowledge organiser on the structure ans organisation of the League of Nations. 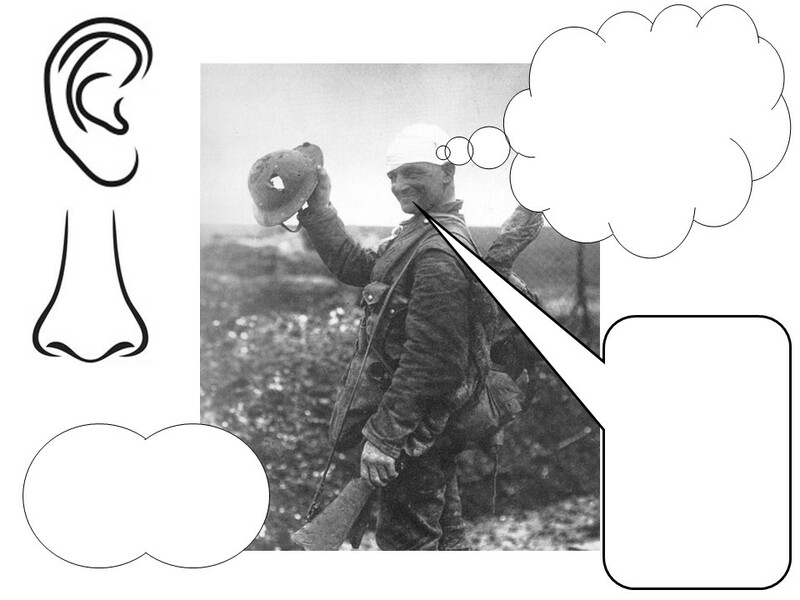 This is based on AQA GCSE history Conflict and Tension 1918 - 1939. 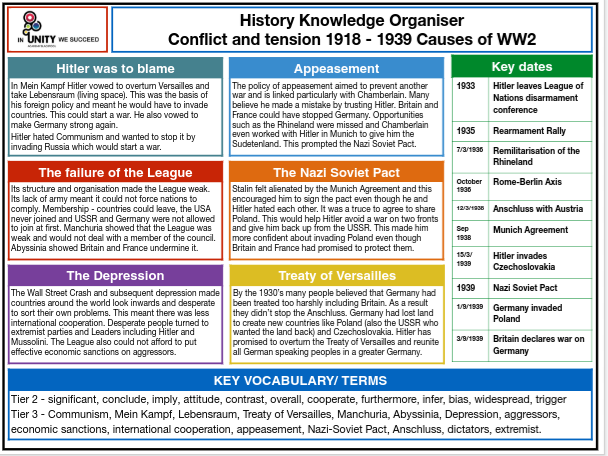 Knowledge organiser covering the basics of Weimar Germany up to 1923. Made for AQA history. For the AQA GCSE history Germany unit. This covers Hitler’s rise to power. 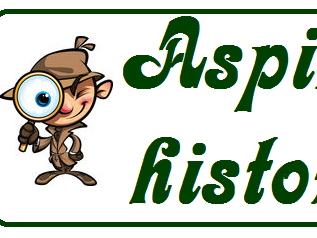 For AQA GCSE history Life in Elizabethan England. This is used to recap and understand all the steps that brought Hitler to power. Students create a list of events on big sheets of paper. They the put them in order and decide which helped and which hindered Hitler. 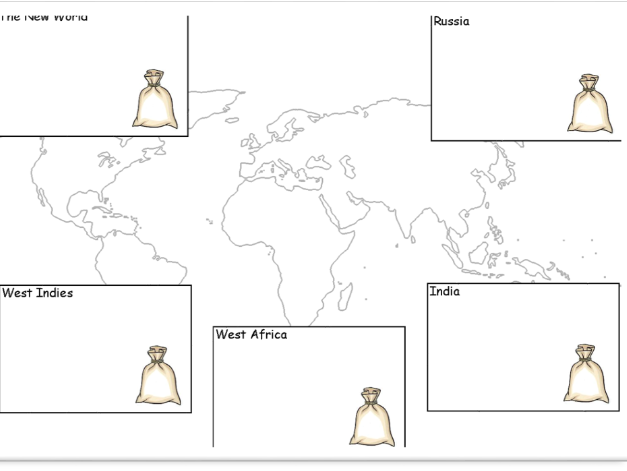 This can be adapted for almost any history topic. 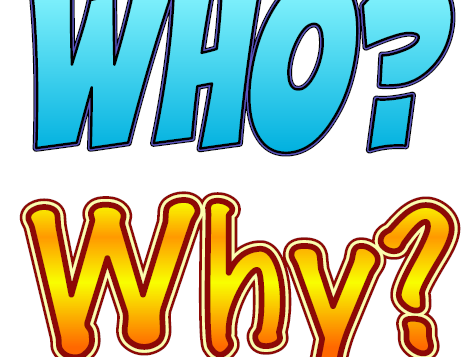 My lesson power point is also included. 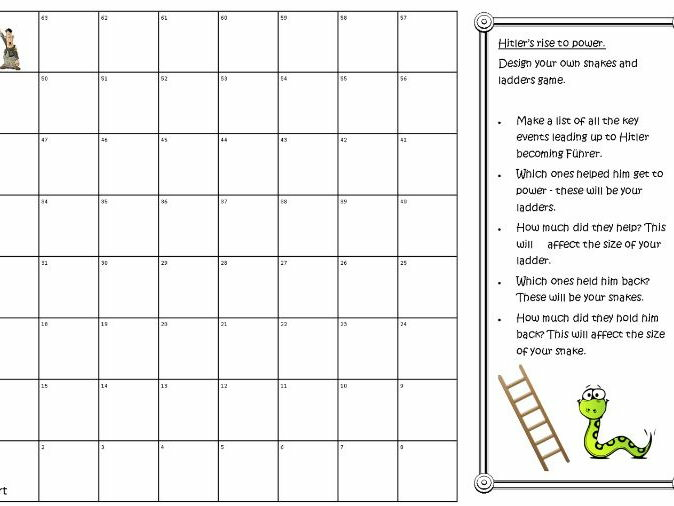 A selection of plenary/extension activities that I have up on the wall in my classroom. For the new AQA GCSE Elizabethan unit. A lesson to get the students to consider why people would risk the dangers of exploration and what the benefits could be. Here is a knowledge organiser covering key people for the Britain: Health and the people unit. Knowledge organiser for the first part of Britain: Health and the people. The impact of war and technology on surgery and health. 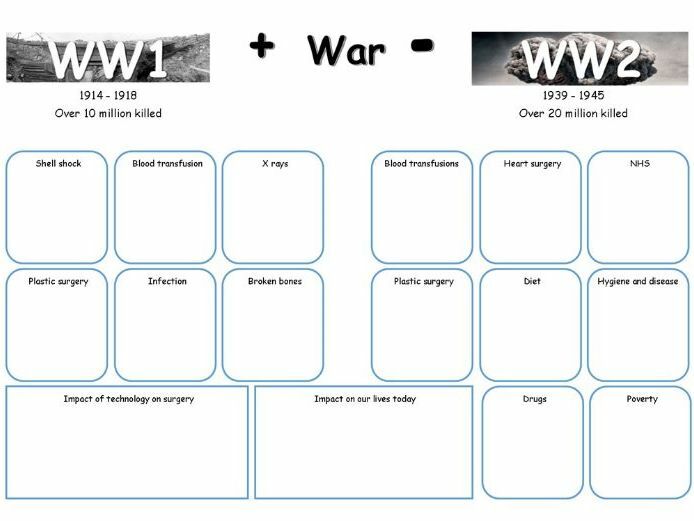 Lesson powerpoint and worksheet studying the impact of WW1 and WW2 on surgery and health. This goes with the Oxford textbook. For the AQA GCSE history Elizabeth I unit on court and parliament. This is for AQA GCSE history Conflict and Tension and covers the event the League deal with in the 20’s and 30’s. A variety of reference cards with history details including Kings and Queens of England. 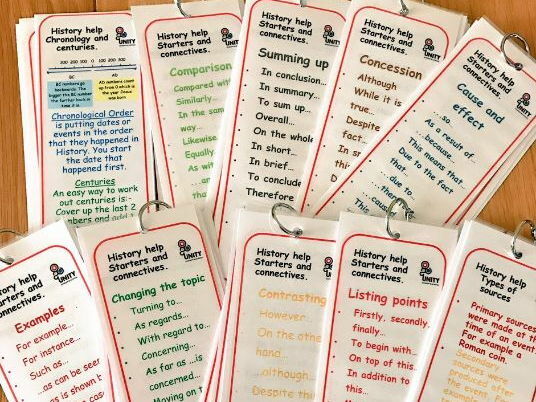 These are for students to use in lessons and because they are on a ring can be added to. Great for any history classroom. For the AQA GCSE history Germany unit. This covers the Kaiser’s Germany up to the end of WW1. 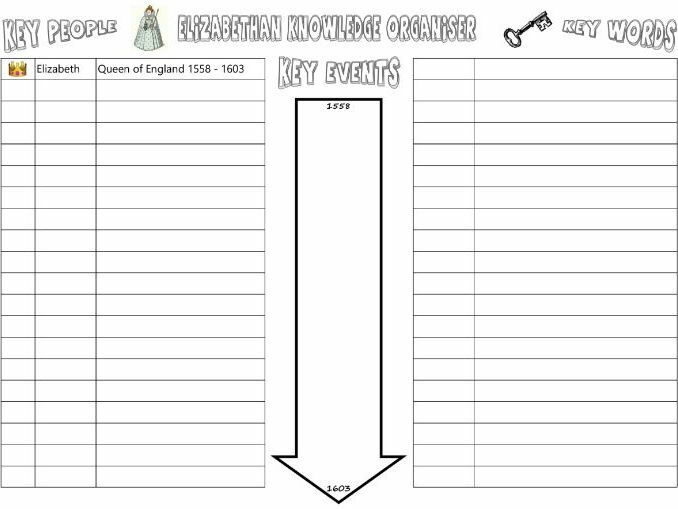 An organiser for the Elizabethan unit that students can fill in throughout the course or for revision. 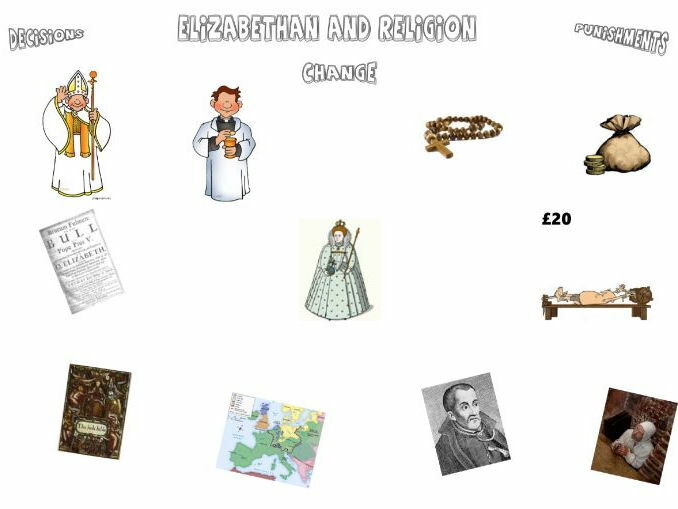 My lesson and worksheet to summarise our work on Elizabethan religion. 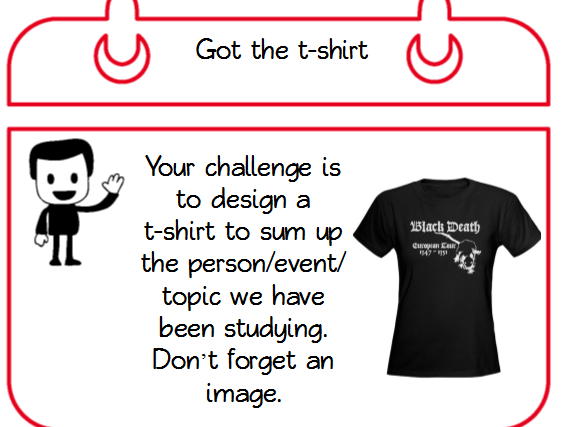 A very simple activity to get students to think about an image. These two are a WW1 soldier and a WW2 evacuee. A few stickers I have made that might be useful.